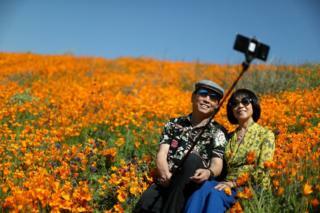 A super bloom of wild poppies has appeared near Lake Elsinore, in California, following weeks of heavy rain. 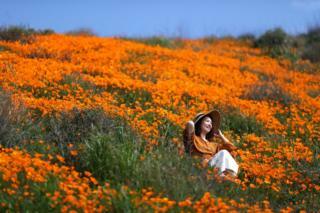 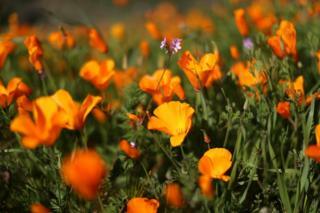 Hillsides in the area, to the south east of Los Angeles, are covered in swathes of the orange and gold wildflowers. 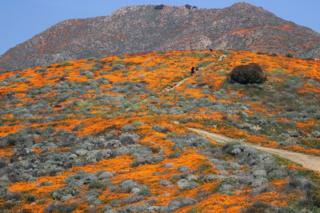 The bloom is in stark contrast to last year's devastating wildfires, when thousands of local residents were evacuated. 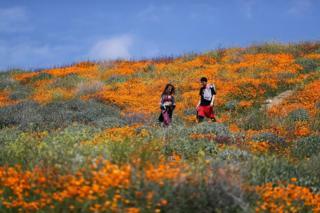 Recent storms saw further evacuations in the area. 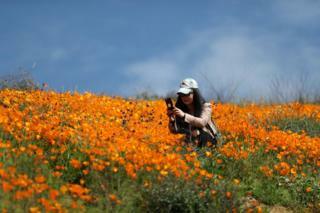 Visitors have been taking advantage of the spectacular natural phenomenon to take floral-themed selfies.